Every day, nearly 200 people in the UK develop a condition that can lead to visual impairment or even partial blindness. AMD is the most common cause of irreversible sight loss in the UK and Europe. How do you identify the symptoms and what’s the treatment? Macular degeneration causes damage to the part of the retina responsible for central vision. AMD doesn’t cause pain and doesn’t lead to a total loss of sight. AMD affects the vision you use when you’re looking directly at something, for example when reading or watching television. It affects one eye first, so you often don’t notice it. One eye can be stronger than the other so it’s important to monitor your eye health so that you can spot any changes. AMD develops as the eye ages – other risk factors include a family history of AMD, smoking, excessive exposure to UV light and screens. Maintaining a normal weight may be protective and research has indicated there is a role for foods that contain dietary pigments, such as blueberries and peppers. There are two main forms of AMD – ‘dry’ and ‘wet’. Both wet and dry AMD only affect your central vision and will not affect your outer sight (peripheral vision). So, neither type alone will cause you to lose all of your sight. Dry AMD is less severe than wet, it progresses over years rather than months and causes more gradual loss of central vision. At its worst dry AMD causes a blank patch in the centre of your vision. Wet AMD can develop very quickly (over days or weeks), causing serious changes to your central vision in a short period of time. You develop wet AMD when the cells of the macula stop working correctly and the body starts growing new blood vessels to replace them. These blood vessels leak fluid causing swelling and bleeding underneath the macula which can lead to scarring. The new blood vessels and the scarring damage your central vision. If you notice a sudden change in your vision, you should have your eyes examined by an eye health professional as soon as you can. Your optometrist will refer you to an ophthalmologist for further tests and examinations of they suspect AMD. If your sight changes very quickly then you can attend the Accident and Emergency department at your nearest hospital. Unfortunately there is currently no way to treat dry AMD. There is some evidence that vitamins can help with the condition and there are many clinical trials under way. Until about 10 years ago, there was no effective treatment for wet AMD, but now it can be treated with regular injections of drugs such as Eylea or Lucentis into the eye. It is treated on the NHS with a group of medications called anti-vascular endothelial growth factor (anti-VEGF) drugs. These drugs block the growth of new blood vessels and reduce the leakage of fluid from existing vessels. This improves sight substantially in about a third of patients and prevents further deterioration of vision in about 95% of cases. The effects of the drugs last only one to two months, so people need frequent injections. 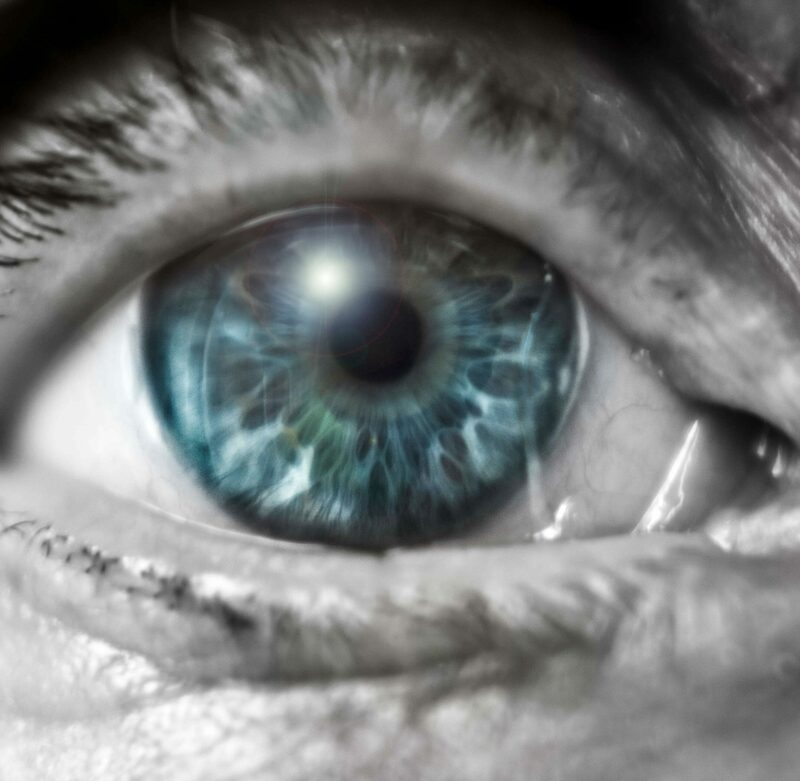 There are some exciting recent developments in the treatment of wet AMD. Twelve NHS CCGs in the North East are offering patients Avastin, a cheaper alternative to the current licensed drugs. If wet AMD is suspected, you will be issued with an urgent referral and should be seen at hospital within a week. The initial diagnosis of wet AMD, and the need for follow-up treatments, is determined with a form of retinal imaging called optical coherence tomography (OCT). OCT is a relatively new form of medical imaging, having been around since 1991. It is similar to ultrasound except it measures the reflection of light waves instead of sound. There are also now handheld OCTs, which may make detecting eye diseases simpler, though you still need a trained health professional to read the results. Trials are still ongoing with Google’s DeepMind which has used data from thousands of OCT scans to develop a diagnostic algorithm that can detect wet AMD at least as quickly and effectively as eye specialists can. Trying to adjust after a diagnosis of AMD can seem overwhelming at first, and it might involve some changes to your life. 360,000 people in the UK are registered as blind or visually impaired and several organisations such as the RNIB offer lots of support – you can also give their helpline a call if you have any questions about your eye condition, the aids available to you and how to register as sight impaired. More resources, advice and support can be found on the RNIB’s website, click here.